Samsung has introduced two new smartphones with entry level specifications, the Galaxy Fame Lite GT-S6790 and Galaxy Trend Lite GT-s7390. Actually these handsets are downgraded versions of Galaxy-Trend and Galaxy-Fame which comes with Dual SIM support. But the Lite version of these handset has Single SIM card Slot. The device are initially launched for Netherlands. It comes with 3.5inch HVGA resolution display, 850MHz single core processor with 512MB of RAM and runs on Android v4.1 operating system. It has 4GB of on board storage, 3MP primary camera and houses a 1300 mAh battery. It has 4inch WVGA display, powered by 1GHz processor and 512MB of RAM. It also has 4GB of ROM, 3MP camera and 1500mAh battery. 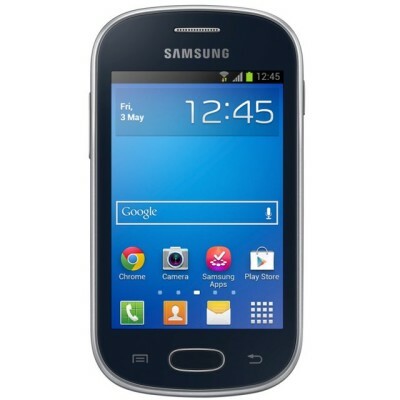 The Samsung Galaxy Trend Lite and Fame lite comes in Midnight Black and Pearl white/ Midnight black colors respectively. The company has revealed the prices for the devices but considering the specs and features Both the handsets would be priced under $150 ( around Rs.8000 in India). If you are from the USA Buy it from Amazon.COM.